Now I am a first timer to the world of Diablo 3 and I am really enjoying and I have been finding myself getting lost so easily in time and I think I will just a quick 30 mins turns into 3 hours later. Even just picking a character is fun and I can’t wait to try all the different classes and modes I can play. Another reason for this purchase was I wanted a game to play co-op locally with my other half and family as you don’t see many local co-op games anymore and we are totally loving this and the fantasy worlds it’s all set in. It feels fresh and modern on a new platform to me anyways as this game came out originally in 2012. It plays wonderfully. That’s not a huge surprise. 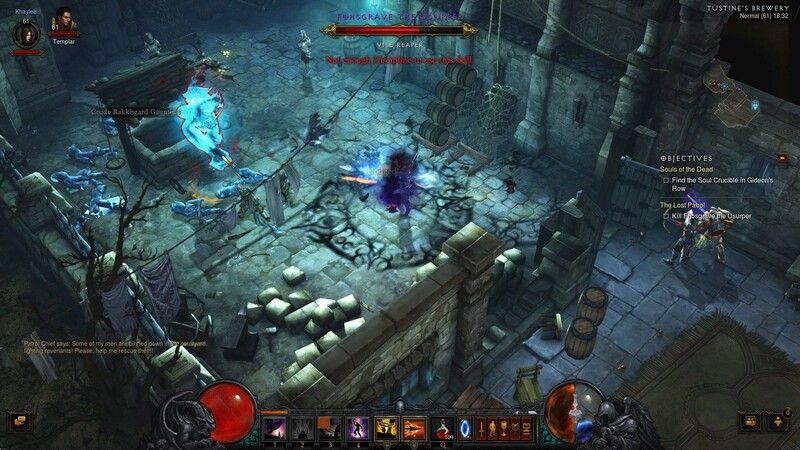 What is an unexpected delight is how good Diablo 3 looks on Nintendo’s portable console. I love the fact I can literally take this game and console anywhere with me, even though I will still be in the same space 3 hours later. Connecting to other players for multiplayer locally and online has been a massive breeze for me as I normally suffer trying to do things online or local play. With four players setting off special attacks or traps amidst dozens of monsters onscreen, Diablo 3 on Switch stays utterly smooth. Even the couple of networking hiccups we encountered couldn’t stop us. The action recovered a few seconds later and we got right back to having fun. Battery life in handheld mode, meanwhile, falls right in line with a typical big-budget Switch release, with roughly two-and-a-half to three hours of playtime. If you’ve never played Blizzard’s legendary loot grinder like me, the eternal collection on the switch lives up to its name and you find no shortage of content or characters to fill dozens of hours on it. For the replayers of this game, you are getting the up to date polished version that you will enjoy too. Posted in games.Tagged coop, diablo3, Fun, insight, Nintendo, review, Switch.